Purpose: This unit is a combination of dental press and polymerization unit. Description: TH-12 Pressure Polymerizer skips the complicated working steps and makes working experience much more easier. 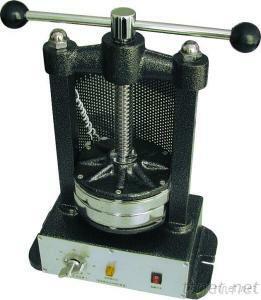 With this machine, clamps for polymerization unit and dental press will no long be needed. This durable machine will not have problem if used with proper care, therefore the cost of manufacturing is lowered.